The Absa African Special Jersey was created, along with the Burry Stander Memorial Trophy, to foster the growth of elite mountain biking on the continent and to honour the legacy of South Africa’s greatest mountain biker. 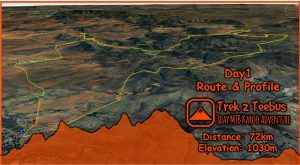 Now in its seventh edition the category has grown to one of the most fiercely contested within the Absa Cape Epic. With three previous winners lining up on two teams and the highly motivated NAD Pro MTB team created almost solely to knock PYGA Euro Steel off their perch the 2019 race will be a humdinger. In five of the previous six editions the African MTB Team, formerly racing as SCOTT Factory Racing and now as PYGA Euro Steel, have emerged victorious. Matthys Beukes has been ever-present in each of those victories. The George resident was partnered by Phillip Buys in 2013, 2015 and 2017. While Gert Heyns rode to victory with Beukes in 2014 and Julian Jessop accompanied him to glory in 2018. Beukes is in fact undefeated in the competition; having not started the 2016 race when USN Purefit’s Darren Lill and Waylon Woolcock took home the title. The five-time category winner is not letting his pre-race favourite tag add any pressure to his preparation however. “Competition wise for the African jersey it would definitely be DSV Pro Cycling’s Du Toit and Jessop. They are two classy riders and a team to watch out for” Beukes speculated. “The Burry Stander Memorial Trophy has really helped to add some depth in South African mountain biking. It’s a good incentive for the guys to race and to get some exposure for the sponsors. Having said that it shouldn’t be the main focus – it’ll be better to aim high on the overall ranking and to just have this as a bonus, but as I said it’s a really good incentive” the PYGA Euro Steel star explained. PYGA Euro Steel’s rivals Nico Bell and Matt Beers of NAD Pro MTB are encouraged by their 2018 showing, when they wore the red jerseys for a stage before Beers fell ill. The pair then recovered well in the latter phases of the race to finish on the category podium. “The route will be hard and there are some tough stages, last year our best stage was one I thought would be our worst” Bell recounted. “I would say the longer harder stages would be best for me. Matt [Beers] also has lots of power so if we can get into the open roads that’s where we can be at our best” he warned. DSV Pro Cycling’s pairing of Du Toit and Jessop sees two talented but slightly unheralded riders team up. Jessop is of course the defending Absa African Special Jersey champion while Du Toit raced in support of the African MTB Team in 2015, finishing fifteenth overall. In 2018 he rode with SPOT Africa’s Timothy Hammond and placed nineteenth. In order to win the category DSV Pro Cycling will have, in all likelihood, to finish well inside the top ten general classification teams. Sixth is the average overall final finishing position of the Absa African Special Jersey winners over the years. In fact Beukes and Jessop’s twelfth is the only time the red jersey wearers have finished outside the top ten teams. Andrew Hill will be taking part in his first Absa Cape Epic since 2014 and will partner Shaun-Nick Bester for Darkhorse Wheels. “We’ll have to be aware of all the South African teams as the race outcome can be determined by a misfortune or mechanical” Hill reflected. “Anything can happen and we need to make sure we race smart for the long game” he concluded laying out their team tactics. Mad Macs are represented by the talented young Matthew Keyser and the experienced Charles McFall. 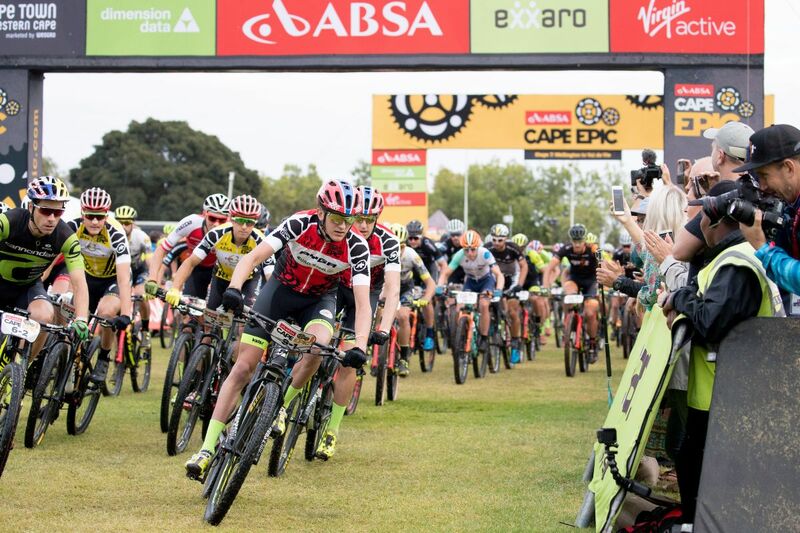 While SPOT Africa’s Hammond is deciding on his Absa Cape Epic partner – though given the company’s strong African focus it will almost certainly be a fellow African rider. While Van Den Heever and Munnik will be having fun, as well as racing as hard as possible, the rest of the Absa African Special Jersey teams have to focus more intently on the task at hand. The team with the most serious job – but who will not be in contention for the category win, barring disaster for Buys and Beukes – is the PYGA Euro Steel back-up team. 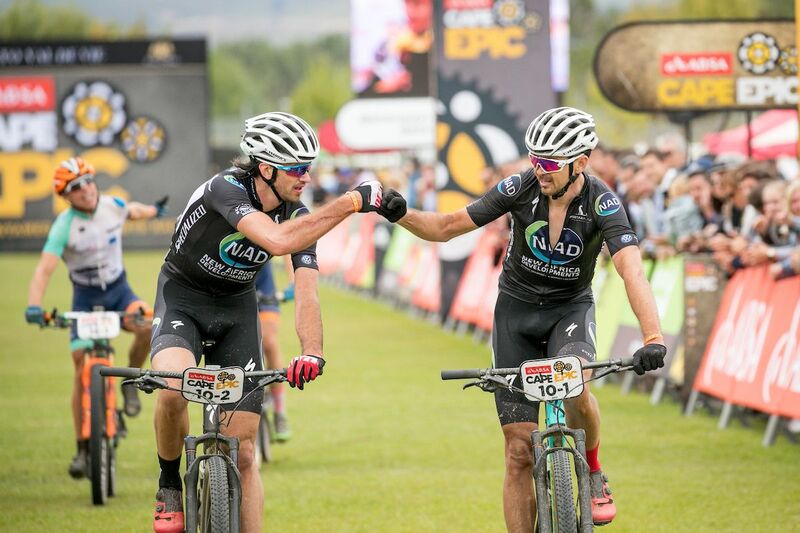 Pieter du Toit and Phillimon Sebona will be racing their second Absa Cape Epic together in support of their team leaders. Du Toit is a talented youngster, while Sebona is one of the sport’s greatest success stories. 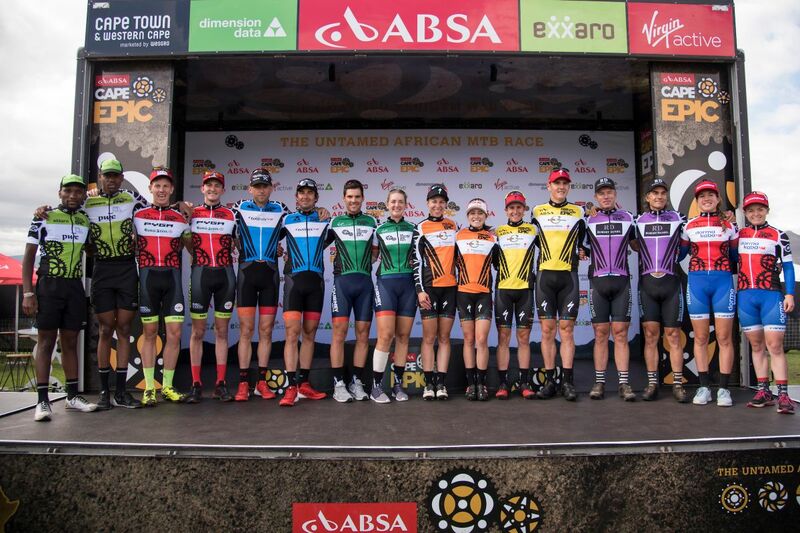 Rising through the ranks of the Exxaro Mountain Bike Academy, though two victories in the Exxaro Special Jersey competition, to the ranks of elite riders Sebona exemplifies the founding aim of the Absa African Special Jersey competition. 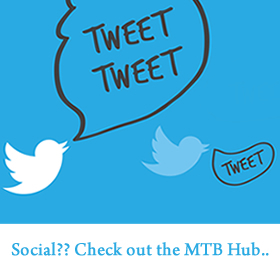 By providing the platform for sponsors to gain exposure and therefor encouraging the sponsorship of local riders the race for the Burry Stander Memorial Trophy fosters the growth of African mountain biking.